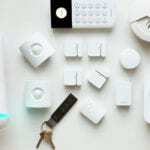 SimpliSafe offers well-designed, low-cost, DIY home security. We tested it out to see how SimpliSafe stacks up in regard to pricing and packages, tech and design, customer service, and equipment. SimpliSafe isn’t your grandma’s (or even your older brother’s) home security system. You don’t need a landline or Wi-Fi connection to use it, and there are no long-term contracts to sign. 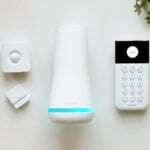 SimpliSafe home security lives up to its name with straightforward pricing and basic equipment offerings. But its simplicity may be too simple for people looking to protect a larger home or property. Plus, there are no outdoor security cameras, and home automation options are limited. 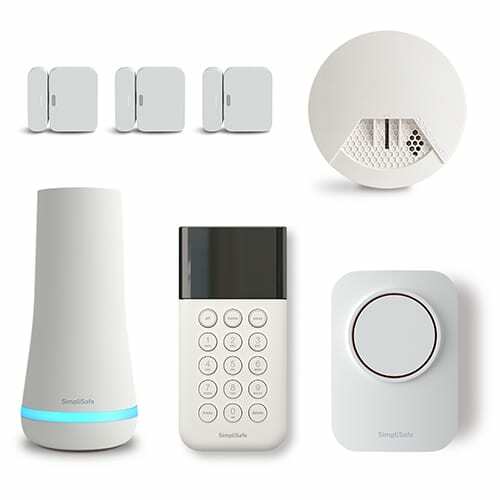 All of SimpliSafe’s security packages include the SimpliSafe app and a dual cellular and Wi-Fi connection. We recommend The Hearth package because it has a siren and a smoke detector—essentials we think are worth a little bit extra out of pocket. SimpliSafe is different from traditional home security companies—it has lower equipment costs and contract-free monthly monitoring. You do have to buy your equipment upfront, but all of SimpliSafe’s preselected packages are under $500. Contracts are a mainstay of the home security industry, so it’s nice to see a company bucking the tide by doing away with them altogether. This means you’re not tied to a monthly payment. It also means you can use professional monitoring only when you need it. So if you want extra protection when you’re on vacation, you can add monitoring for that month and then cancel when you return with no penalties or hassle. It’s not unheard of to pay around $1,000 (or more) for home security equipment. 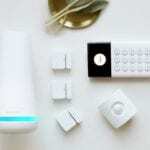 But SimpliSafe has packages priced between $250 and $500—and that includes multiple sensors in all packages, plus a siren and a connected smoke detector in the higher-priced ones. But you’re not stuck with one of the company’s preselected packages. You can pick and choose your components to get even more control over how much you spend. You can add 24/7 professional monitoring to your SimpliSafe security system for either $15 or $25 per month. And you can add, cancel, upgrade, or downgrade your monitoring plan at any time without any extra fees. Honestly, there’s not a lot to complain about when it comes to SimpliSafe’s pricing and contract terms. With affordable starting prices for both monitoring and equipment—plus the flexibility to self-monitor if you want to—this is a security option that fits into most budgets. SimpliSafe offers technology and equipment that’s both stripped down and state of the art. The company’s goal of keeping things simple (hence the name) limits the bells and whistles. Where SimpliSafe stands out is in the elegant, modern design of its components. 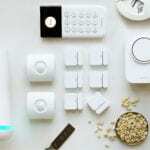 SimpliSafe claims that all you have to do to set up its system is open the box, and that turned out to be pretty accurate. This security system is truly plug-and-play. The keypad walks you through every step with onscreen instructions, and it even comes with adhesive on the back. All you have to do is peel and stick to install the keypad. As someone with a few four-legged pals running around the house, it was nice to discover that SimpliSafe sensors have built-in technology that helps them ignore movement from pets. That cuts down on false alarms (I hate it when my phone blows up with alerts about the cat and dog playing chase). To wipe out those false alarms, SimpliSafe motion sensors use unique heat signatures to tell the difference between humans and pets. If you want a security camera with your SimpliSafe system, you’ll need to spend an extra $100 to add on the SimpliCam (plus an extra monthly fee if you want video recording and storage). But if you want that camera to keep an eye on the outside of your home, you’re out of luck. The SimpliCam only works indoors, which means you won’t know about an intruder until they’ve already broken in. 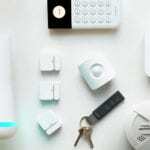 We like that SimpliSafe is proactive about updating its offerings, but the only way to take advantage of those upgrades is to buy all new stuff. We think that’s a short-sighted plan that overlooks the customers who already love the product. This move could alienate once-loyal users and make them shop around when they’re ready to update their system. Surprisingly, this tech-forward company has neglected the trappings of home automation until recently. Original incarnations of the SimpliSafe base station had no smart home compatibility at all. Today, it works with the Nest thermostat, August smart lock, and Amazon Alexa. It’s a slow start, but it’s better than nothing. If you add only one smart feature to your home security system, we think it should be voice control. I don’t know about others, but since I got my Amazon Echo, I’ve become increasingly dependent on Alexa. That’s why I was so glad to discover new SimpliSafe skills that let you use your voice to check in on the status of your security system. You can also arm, disarm, and change the status as needed. We like home security systems that come with built-in home automation tech. 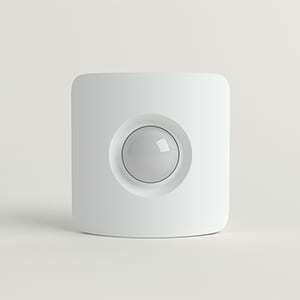 Systems that use Z-Wave or other IFTTT (If This Then That) protocols make it easy to combine security and convenience. We hope that SimpliSafe continues to expand its home automation compatibilities to make it a more well-rounded home security offering. Because the SimpliSafe system is so easy to use, I didn’t need to contact customer service directly. But SimpliSafe has an A+ rating from the Better Business Bureau, and 3.5 stars (out of 5) on Amazon. Those Amazon stars reflect more than 5,000 customer reviews—75% of which are a full five stars. But it’s not all sunshine and roses; customers regularly report long wait times and dissatisfaction with recent changes to online account access. Even though SimpliSafe doesn’t offer 24/7 customer service, its help line is open seven days a week from 9:00 a.m. until midnight (EST). And if you have professional monitoring, the monitoring center is operational 24/7. You can also request help via email or join online forums to get help and ideas from other SimpliSafe users. The biggest complaint we found from SimpliSafe customers was how long they were put on hold when they called customer service. While this isn’t an unusual complaint, it does seem to be the black eye on the face of SimpliSafe. We’d like to see the company add some more customer service reps or increase the support that’s available online to alleviate this frustration. 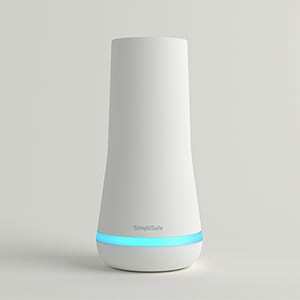 Do I need to have the internet or a cellphone to use SimpliSafe? No. 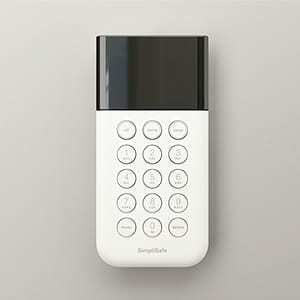 The SimpliSafe security system doesn’t require a Wi-Fi connection, cell phone, or computer. All you need are the base station and the keypad. These components use a built-in cellular connection to communicate with each other. 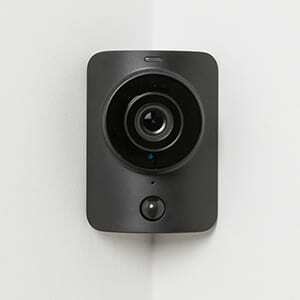 But you may need to go online to activate and access certain features, including the SimpliCam security camera, which does require a Wi-Fi connection. Can I combine newer and older SimpliSafe components? Unfortunately, new SimpliSafe equipment isn’t compatible with older versions. If you want to upgrade your system to access new features like smart home compatibility, you’ll need to buy a new base station and sensors. 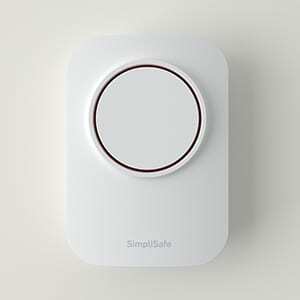 At this time, SimpliSafe plans to continue selling and supporting its original equipment. Why would I want to pay extra for professional monitoring? The benefit of adding professional monitoring to your SimpliSafe security system is the extra peace of mind that comes when you know someone else is watching over your home. When your SimpliSafe alarm is triggered, the monitoring center receives an alert so they can confirm the emergency and contact help. This is the brain that controls the whole security system. The base station contacts the monitoring center when an alarm is triggered. The keypad is used to control the security system. Because it’s separate from the base station, you’re still protected if the keypad is damaged. SimpliSafe’s motion sensor is designed to tell the difference between humans and pets. 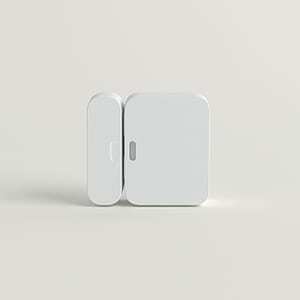 Entry sensors let you know if a door or window is tampered with or opened. You can save money when you use one motion sensor (instead of multiple entry sensors) in rooms with three or more windows. This is an extra way to trigger the alarm and alert the monitoring center that you need help. 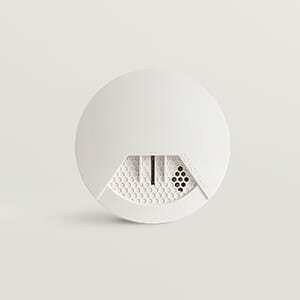 This smoke alarm detects smoldering fires and sends an alert to the monitoring center as well as sounding a loud siren. This siren lets out 105 dB of startling noise and can be installed either inside or outside the house. SimpliSafe’s indoor security camera is motion-activated and lets you view live footage from a smartphone, computer, or tablet. SimpliSafe is a straightforward, low-cost, do-it-yourself home security solution. Its discreet equipment is ideal for small living spaces, but it may fall short if you need to protect a large amount of property. For those looking to add home security on a budget, SimpliSafe’s affordable equipment and no-contract professional monitoring are hard to beat. Our review of SimpliSafe was based on hands-on testing and extensive research. We installed and used the system at home to see how easy it was to use and how well it performed. We also researched the specs of the system and compared it to other home security systems. 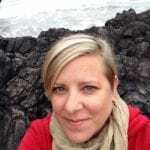 In addition, we read hundreds of customer reviews and visited the SimpliSafe online forum to find out what long-time users have experienced with their SimpliSafe security system. Check out our methodology page to learn more about how we rate and rank products and services.